Summer can be a bit costly so we have rounded up some FREE recurrent activity ideas for you to fill up those weekdays during the summer! Family Fun Days at Blackberry Farm: Free admission to Illinois residents June 10, June 24, July 8 and August 5. Blackberry Farm can easily be an all day adventure with a train, pony rides, farm animals, a replica city street, blacksmith, school house and much more! 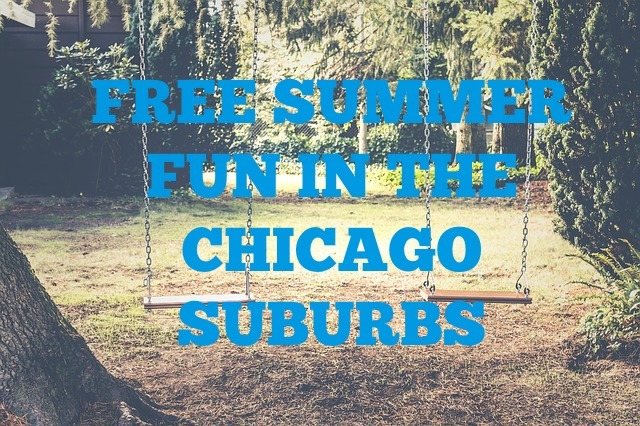 Noonie Times Schaumburg: free noon-1PM children's entertainment on Wednesdays June 17-July 15. Bring your picnic! Elmhurst Museums Free Fridays: admission to the Elmhurst Art Museum and the Lizzadro Museum of Lapidary Art is free on Fridays! Admission to the Elmhurst Historical Museum is free every day! Also, check out Wilder Park to run around and have fun! Little Bear Garden with splash area, Glenview: Little Bear Garden is a nice enclosed park within Gallery Park in Glenview. There is a fun splash area that kids will love! There also is a sand play area--so you will want to make sure that the kids are dry before heading there. But, the park is free and makes for a fun day! It is also located near the restaurants of The Glen. Naperville Lunch entertainment: On June 23, July 14 & 28 along the Riverwalk from 11:30AM-12:15PM you can enjoy live music. The Riverwalk itself is a fun and scenic walk. There are plenty of fun shops to check out downtown Naperville while you are there including Le Chocolat du Bouchard. June 16, June 30 and July 21 feature free music entertainment at Frontier Park. Raupp Museum: The Raupp Museum in Buffalo Grove is quite a treasure with free crafts on Tuesdays in the summer from 1:00PM-3:30PM! Crafts each week will be June 16-August 18. Admission to the museum is free. Each Wednesday from June 17-August 19 there will be a free nature walk at 10AM at the Mike Rylko Community Park. 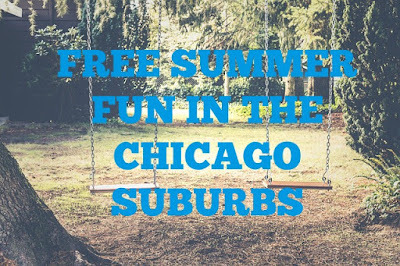 There will also be free offsite programs at select Buffalo Grove Parks on select Thursdays from 10AM-12PM. Check the website for more info. Volkening Heritage Farm: The Volkening Heritage Farm is a working German 1880's farm in Schaumburg. You can see a variety of farm activities happening Tuesday-Friday 9AM-2PM and Saturday-Sunday 10AM-4PM. Admission is free unless there is a special event. Next door is the Spring Valley Nature Center for a lovely--and free--prairie hike! Wagner Farm: Located in Glenview, Wagner Farm is one of the last working dairy farms in Cook County. Interactive farm exhibits and resident farm animals will keep the kiddos busy--for free (except during special events)! Wagner Farm is open M-Sat 9AM-5PM and 9AM-3PM Sun. Kirk Players Summer Workshop for kids 5-14: The Kirk Players has a free workshop for kids June 15-July 27 at Mundelein HS from 6PM-7PM. Kids will be given the opportunity to perform and learn about theater--for free! Head over to the website for more info and send an email if interested. Kids Klub, Lake Yelenich Park, Lombard, lunch entertainment on Wednesdays June 17-August 12. Free fun includes reptile visits, a water works challenge, zumba workshop, musical entertainment and more--check schedule! Zumba sounds like a fun family challenge! Wednesday Walking Club Naper Settlement Wednesdays 8AM-9AM. Have early risers? Naper Settlement have a free Walking Club where you can choose paths walking through the settlement or along the River Walk. There are incentives and prizes. Good way to start off the day healthy! The Organic Garden, Old Orchard Mall near the PlaySpace, Skokie, 2PM-3PM, kids learn gardening skills, free--every Tues and Sat through October! Nature in the Afternoon Drop Ins at the Trailside Museum of Natural History in River Forest, Thursdays 4PM-5:30PM. Each drop in afternoon has a different theme and may include bug encounters, nature crafts and more! Use Kids Skate Free to get free roller skating passes for the kiddos! Classic Cinemas $1 movie series Wednesday mornings June 10-August 5th--watch a great family movie! Plus, kids get to meet favorite characters and engage in fun activities. Cantigny Park: Admission to Cantigny Park and the First Division Museum are FREE! However, parking is $5. There is A LOT to do there, so it will make for a nice day. The kids will especially love the tank park and idea garden. Parents will love the beauty--and price!